The famous writer Charles Dickens, author of timeless classics like The Adventures of Oliver Twist and A Christmas Carol, spent a key part of his childhood in and around London’s infamous Marshalsea prison. 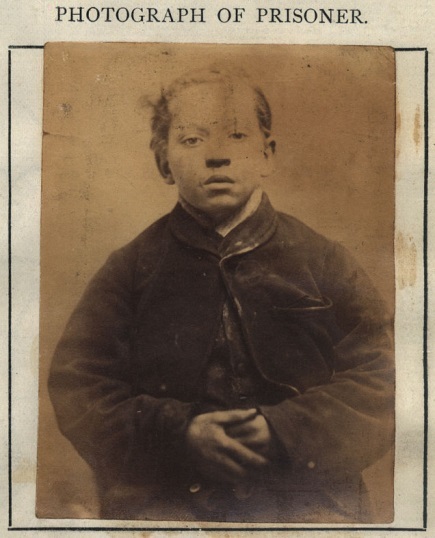 Not for a crime he committed, but for a debt of £40 and 10 shillings his father owed to their local baker, John Kerr. Unfortunately for Dickens and countless others, the penalty for the poor when they could not pay off a debt was imprisonment. To find out why most western nations made this punishment illegal, it is important to look at two things: how these prisons operated and what they were like. The first debtors’ prisons in the Americas were extensions of pre-existing English law, applied to the colonies. As early as the 1630’s, communities were deciding the punishments for the insolvent, regardless of whether the debt was from taxes or a private matter. In this time period, it was commonplace for inmates to bring their family with them. This led to entire communities springing up inside of prisons. Even children would accompany their parents to the debtors’ jail. Occasionally allowed to seek employment in the direct vicinity of the prison, the criminals would often trade with guards or other inmates for services. The famous prisons of England such as the Marshalsea or the Clink were notorious for their terrible conditions. In 1848, Inveraray, Scotland opened a new prison that was considered state-of-the-art with features such as bathrooms, heating, and gas lighting. Although it is now a tourist attraction, the prison’s website explains that the fact that this prison was considered high tech due to heating and lighting only underscores the dilapidation of the others. The horrid state of prisons in the 17th and 18th centuries was eventually noticed by the outside world, and soon reformers began to make headways into changing these places for the better. With aggressive efforts from educators like Dorothea Dix, a champion for the treatment of the mentally ill, soon states began to change their ways. According to the Howard League, the call for reform of the prison system began in 1777 when John Howard published his findings after seven trips across Europe in search of a humane penal system. The goal of his efforts were “promotion of the most efficient means of penal treatment and crime prevention and a reformatory and radically preventive treatment of offenders,” writes Robert Preece, press officer for the Howard League of Penal Reform (which is named after John Howard). Things began to change in the United States, with Kentucky leading the way to the abolishment of debtors’ prisons in 1821. Other states soon followed suit. Although debtors’ prisons were made illegal nearly two centuries ago, they are still very much in the public eye. There have been numerous lawsuits regarding the imprisonment of the insolvent which have reached the Supreme Court. In Williams vs. Illinois(1970), the court ruled that “though a State has considerable latitude in fixing the punishment for state crime, and may impose alternative sanction, it may not, under the Equal Protection Clause, subject a certain class of convicted defendants to a period of Imprisonment beyond the statutory maximum solely by reason of their indigency.” This basically states that a prisoner cannot be forced to stay in jail to pay off boarding fees, from being in jail. Another famous Supreme Court case, Bearden vs. Georgia(1983), ruled that parolees could not be jailed for their failure to pay their fines if they made an effort to find employment or were otherwise unable to.